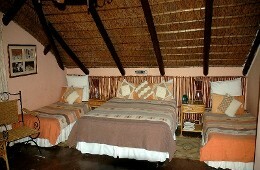 FROM R445 PER PERSON p.p. 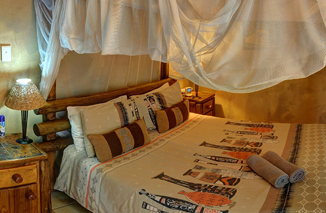 We are on the edge of Komatipoort, 8km from the Kruger Park, 6km from Mozambique Border and 64 Km from the Swaziland border. 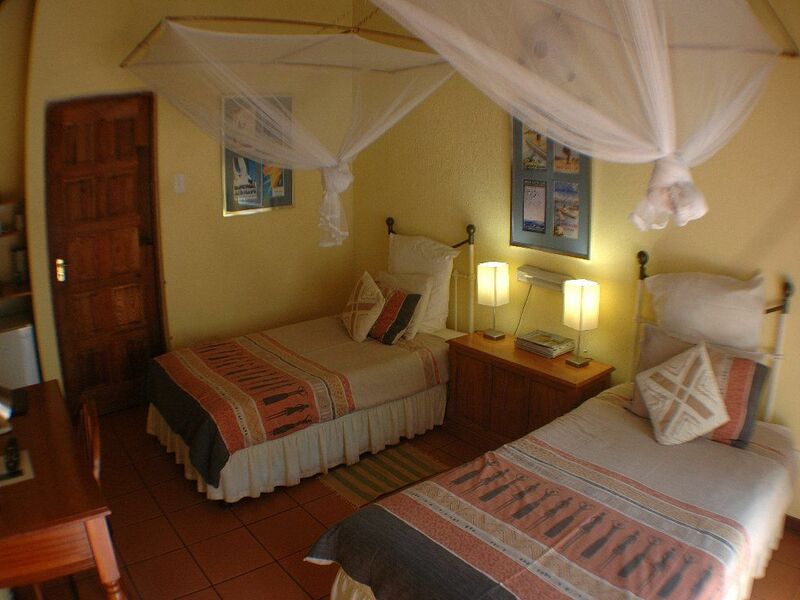 We have singles, doubles and family rooms for up to 6 sharing, next to our pool, in tropical gardens. 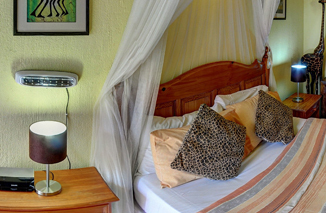 There is no self-catering as we have a small restaurant serving breakfast and dinner. We have Wi-Fi throughout the lodge. 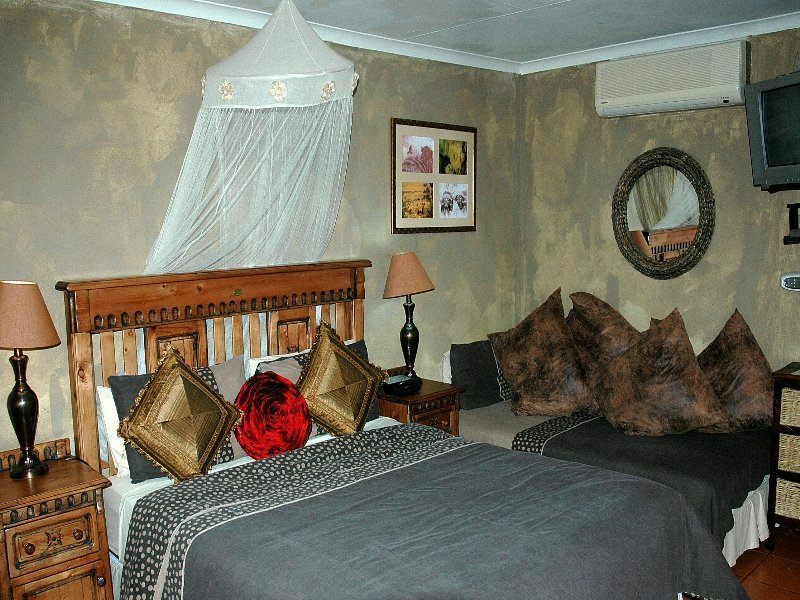 All rooms are ensuite with air con, DSTV, mini bar and tea/coffee facilities. 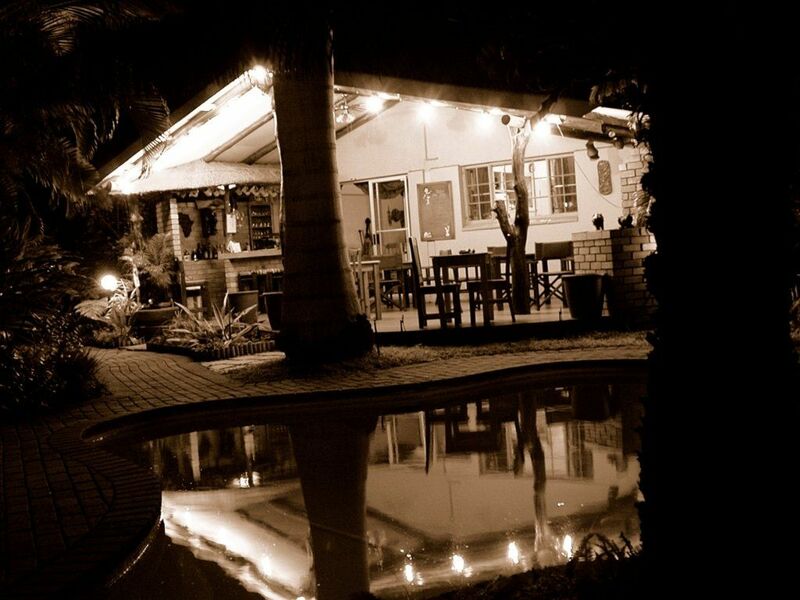 We have a lovely small bar and restaurant serving both European and South African cuisine and an "honesty" bar. We are Wi-Fi enabled and have secure off road car parking for reasonably sized vehicles. 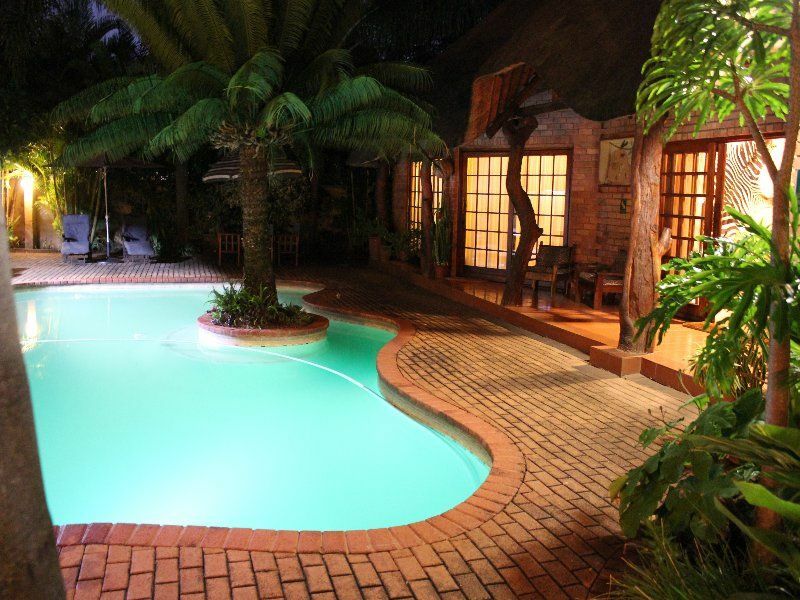 Surrounded by lush tropical gardens, relax by the sparkling pool after a day driving in the Kruger National Park or play badminton on our own court. 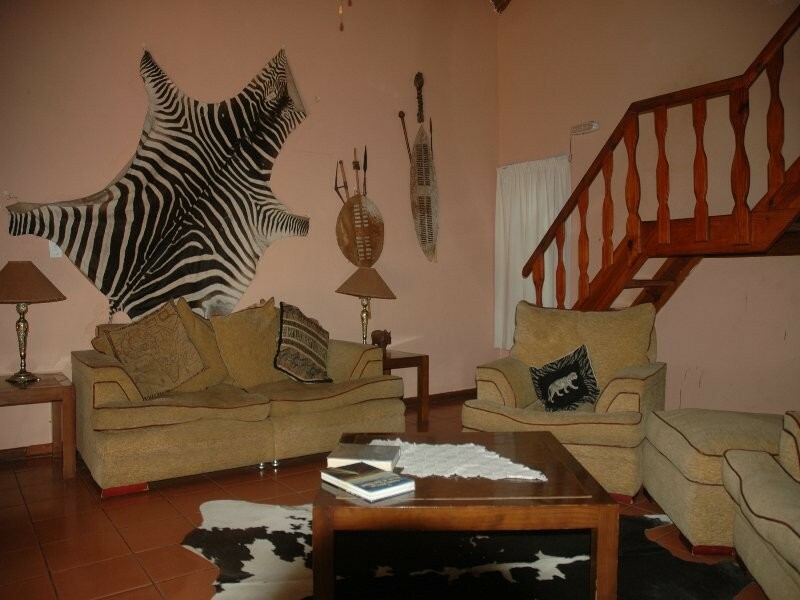 Let us arrange your Game Drives and Bush Walks or a day trip to Maputo (city or day on the beach), Mozambique. 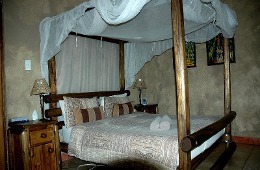 Also nearby are elephant back safaris, golf, fishing, quad biking and more. 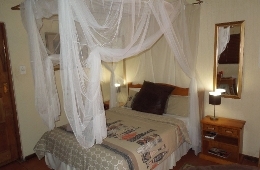 We are an ideal location to explore the game rich south of the Kruger National Park or a few days enroute to Mozambique, Swaziland and KZN. 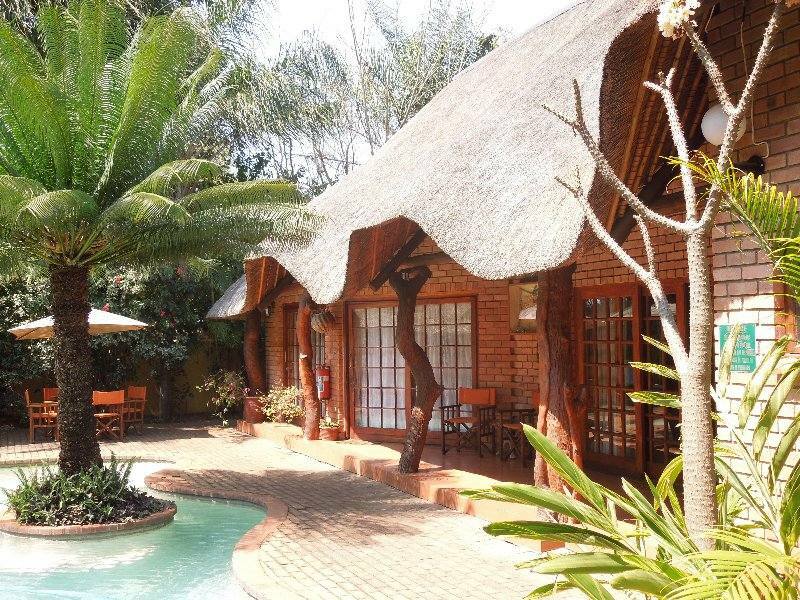 Komatipoort is a small, quiet town, a long way from shopping malls and casinos. Come here for a peaceful break. There are domestic pets on the property- dogs and cats, all are very friendly! 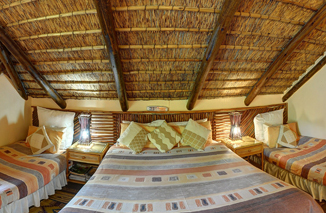 Description: Family room with queen sized 4 poster bed plus stylish bunk bed room off it (full sized bunk beds). Beautiful bathroom with separate slipper bath and shower. 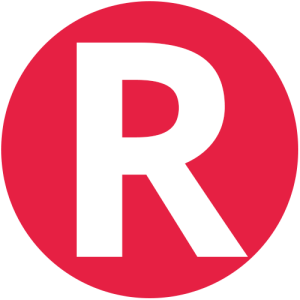 Lower rates for 4 sharing. 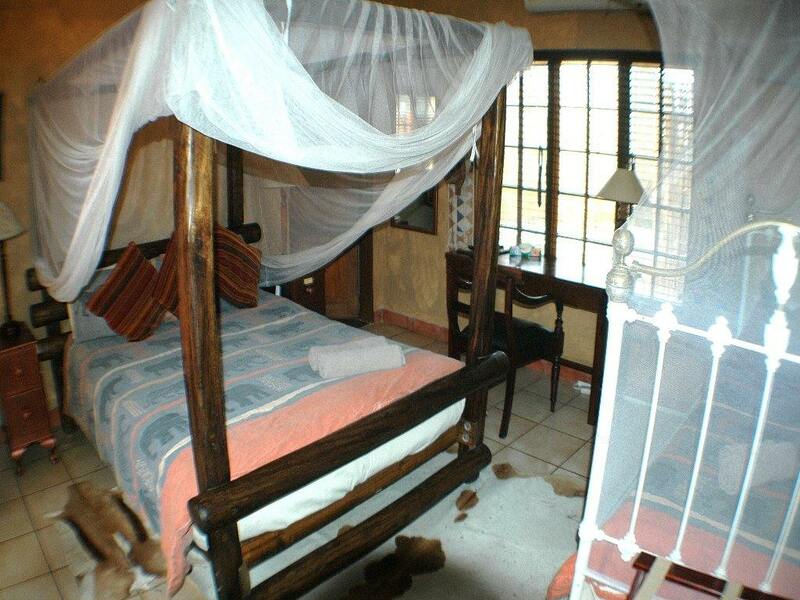 Description: Large open plan upstairs room with queen sized bed, two singles all in one room. Air-conditioner and en suite with DSTV. Suitable for family with young children or good friends. 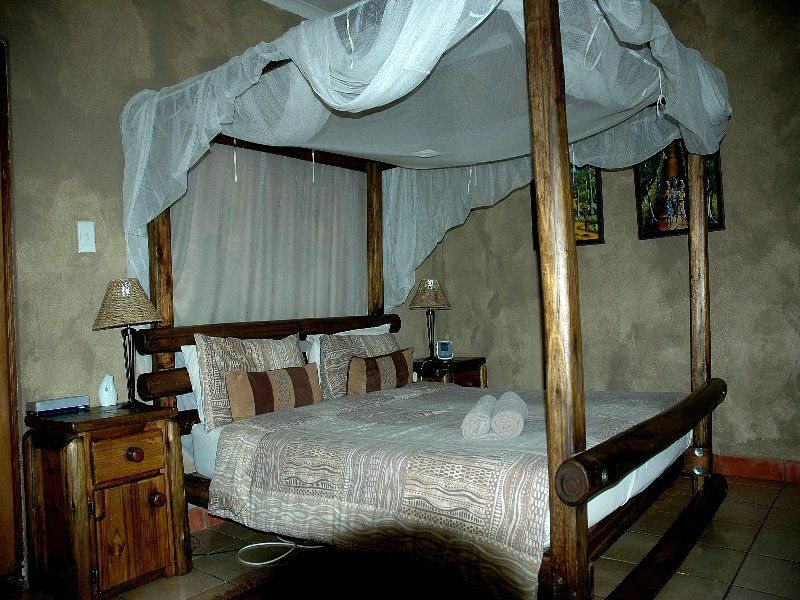 Description: Twin beds, DSTV, air-conditioner, coffee making facilities, and bath over shower. 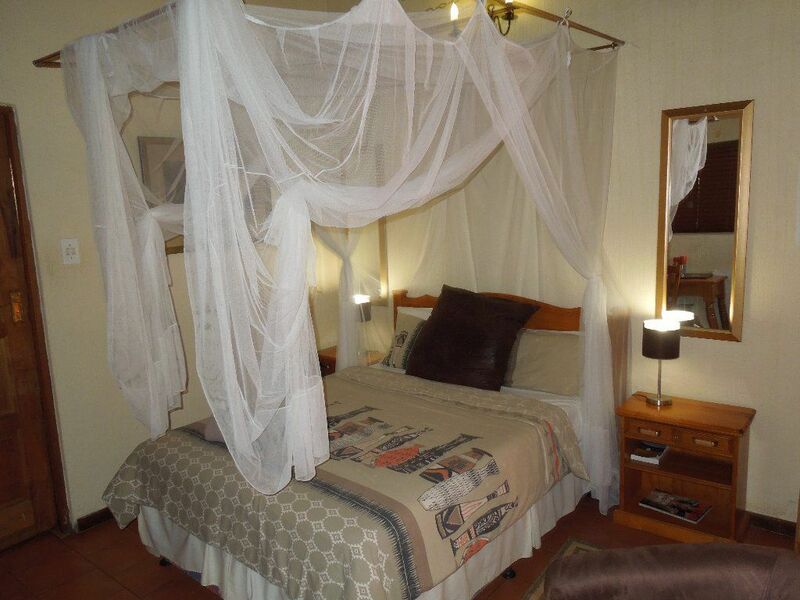 Description: Room with a queen sized bed, DSTV, mini bar,and ensuite bathroom. 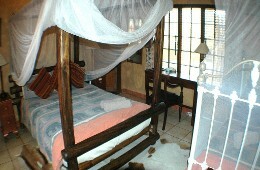 Description: Room with a queen sized bed, DSTV, air-conditioner, mini bar and large bathroom with both bath and shower. Has disabled access. "Faboulous after a long hard day"
"After spending a gruelling day in the car coming from Mozambique we were very glad to be arriving at our overnight destination in Komatipoort. Trees Two Guesthouse did not disappoint. I have stayed in the area many times and really enjoyed this spot. Clean with fabulous attention to details. 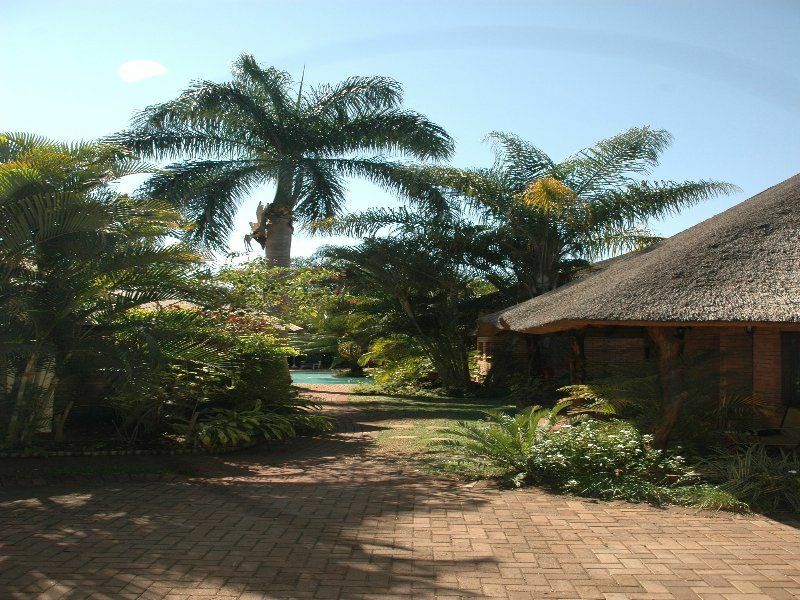 Frie..."
"After spending a gruelling day in the car coming from Mozambique we were very glad to be arriving at our overnight destination in Komatipoort. Trees Two Guesthouse did not disappoint. I have stayed in the area many times and really enjoyed this spot. Clean with fabulous attention to details. Friendly, professional and honest. They serve dinner and breakfast and have an honesty bar(fabulous concept) all on sight. The dinner menu was superb, Beautiful garden and pool. 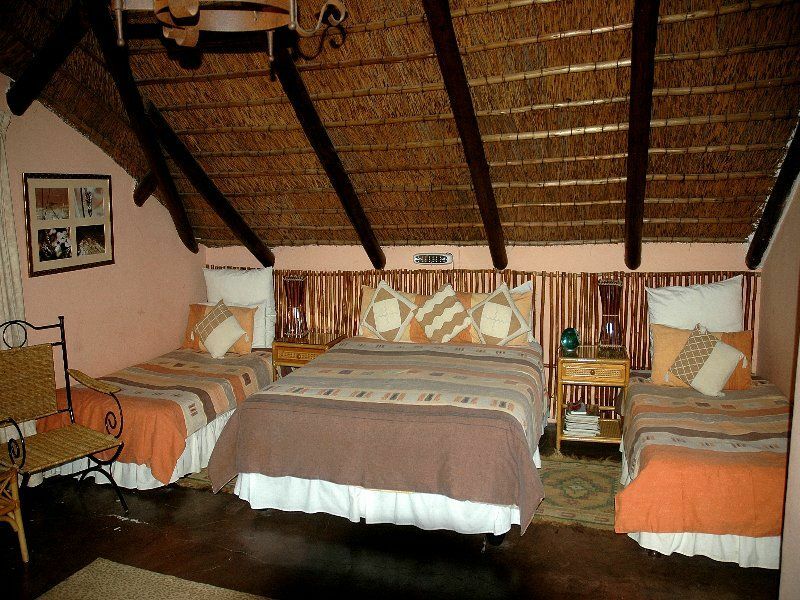 Could easily spend a few days there between Swaziland and the KNP. Many thanks. Will see you again for sure." 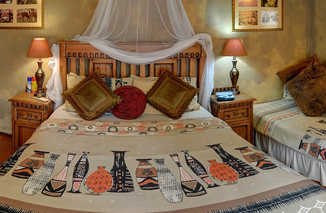 "It's been our second time at Trees Too Guesthouse, and both have been very pleasant. 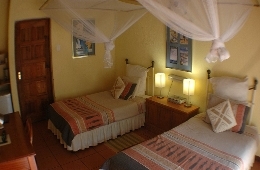 The place is very cosy and nice; good rooms and bathrooms with every thing you may need; a nice garden with swimming pool; very good food at the restaurant. 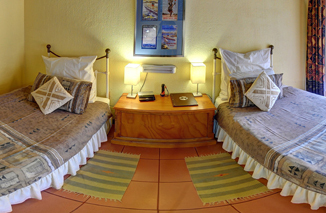 And the couple who runs the place is really nice and helpf..."
"It's been our second time at Trees Too Guesthouse, and both have been very pleasant. 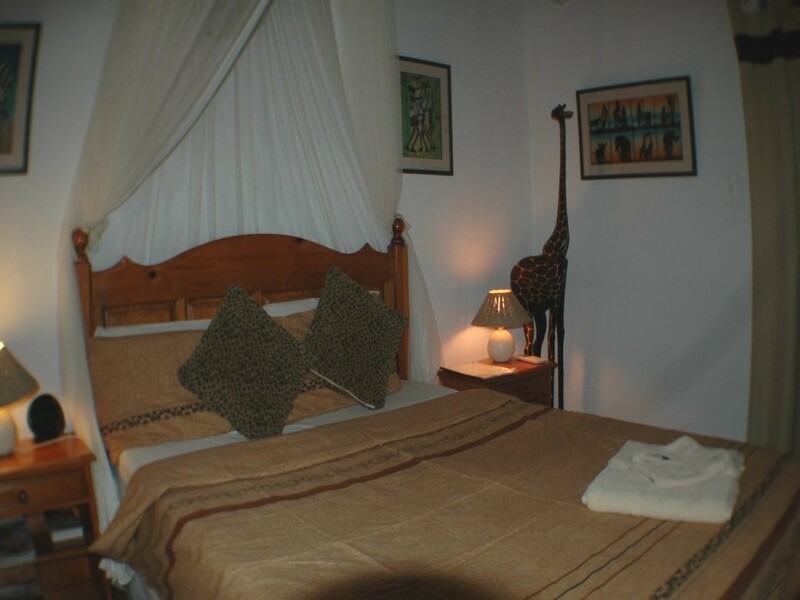 The place is very cosy and nice; good rooms and bathrooms with every thing you may need; a nice garden with swimming pool; very good food at the restaurant. And the couple who runs the place is really nice and helpful, they would attend any need you have. We would definitely go back to and recommend this place to any friend. Great value for money." 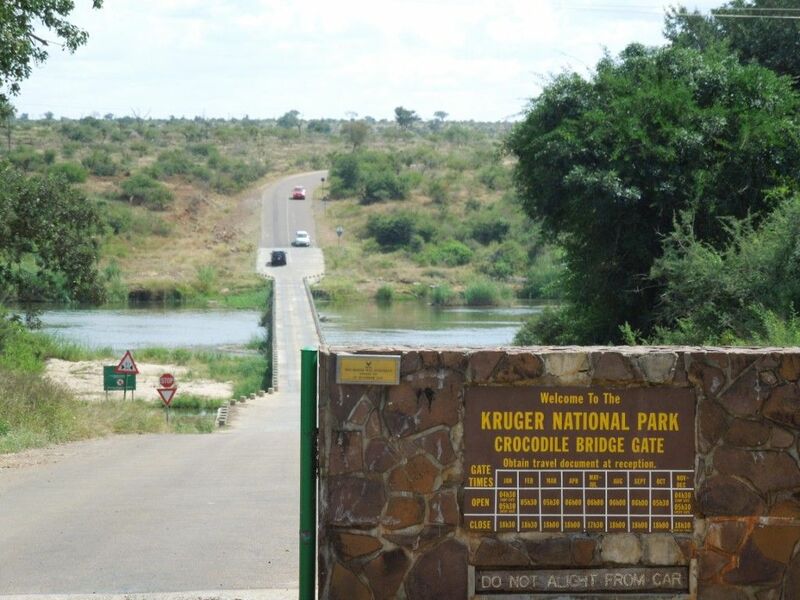 From Kruger Park: leave via Croc Bridge Gate, travel for 8 kilometres, turn left after church onto Gilfillan Lane and immediately right onto Furley Street. We are on your left. Contact Trees Too Guesthouse directly. Send them an email.